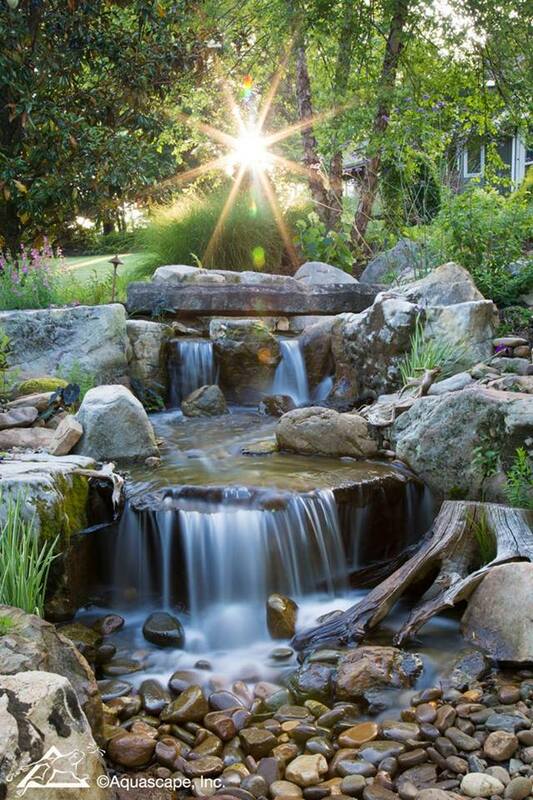 A Pondless Waterfall is, without a doubt, the most beautiful and sought-after landscape water feature. 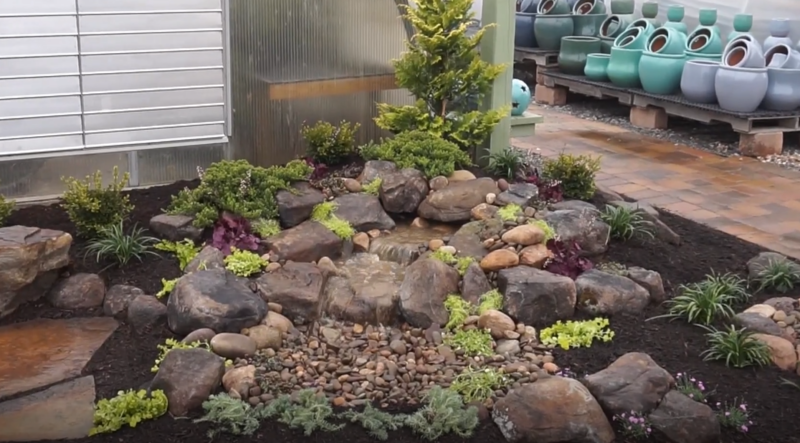 If space is limited in your yard, consider adding one of these Water Features to enjoy the soothing sounds of running water. Pondless Waterfalls are a great addition to any outdoor living space. This video is from a seminar our "BeeTeam" held to show others how to create such a unique, simple and beautiful feature fit for nearly any Landscape. How our Team creates these Waterfalls are what makes them so special. 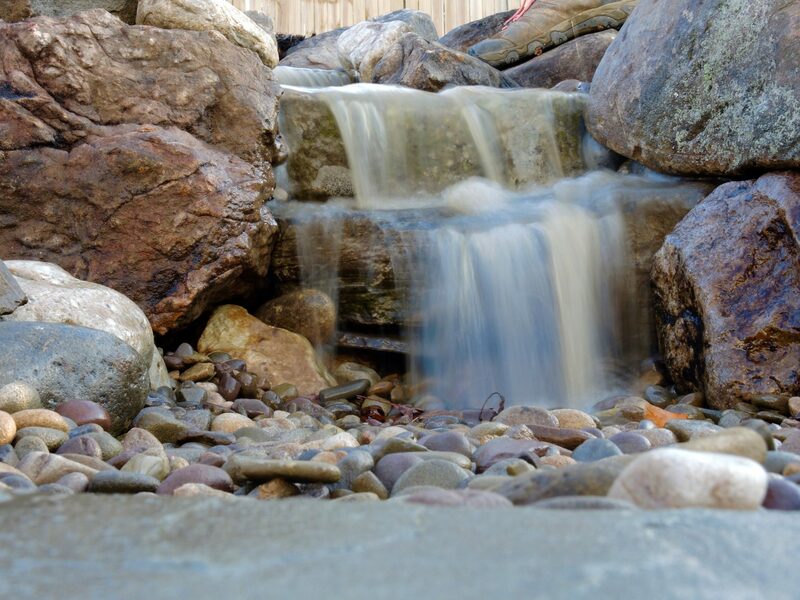 We place each boulder or rock in a specific way to provide the best effect to create a beautiful Waterfall. 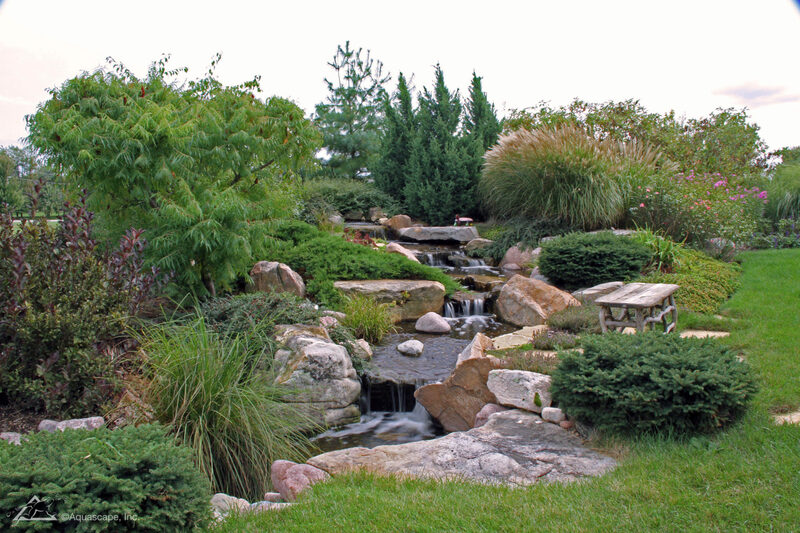 Safety: Because the Pondless Waterfall has no pool of Water it’s a great option if you are concerned about safety issues associated with a traditional pond. Cost: Cost can be a big factor when considering the type of pond, you want to build. 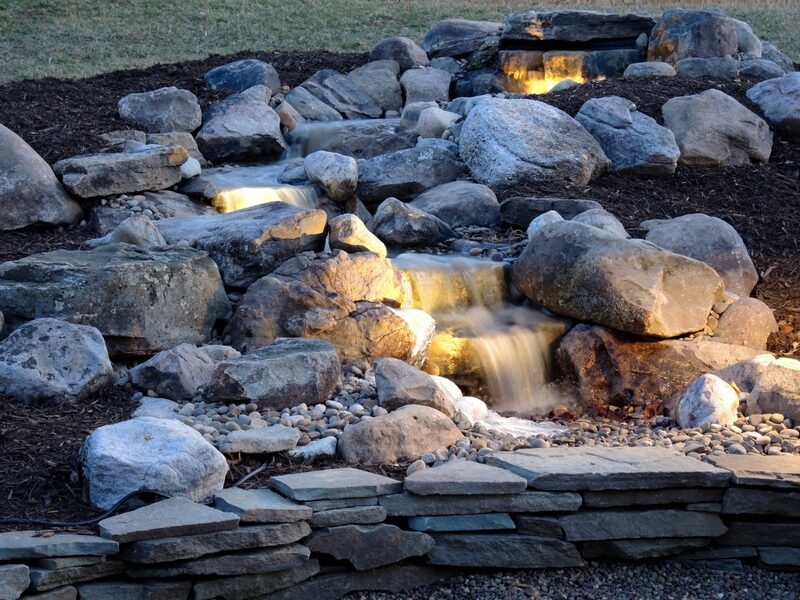 In most cases, the price of a Pondless Waterfall Feature is typically less than that of a pond, since there is less labor involved, as well as less rock and materials. Operating costs are also less and because this type of feature is not an established ecosystem, it’s not necessary to run the pump 24/7 if you don’t want to. Space: The small sizes these Waterfall can come in means you can build and enjoy a beautiful waterfall anywhere in your yard. Maintenance: Maintaining your Pondless Waterfall is easy. Filling the reservoir every few weeks to compensate for water loss from evaporation is all that’s required. You also have the option to install an Automatic-fill valve to eliminate this bit of maintenance. 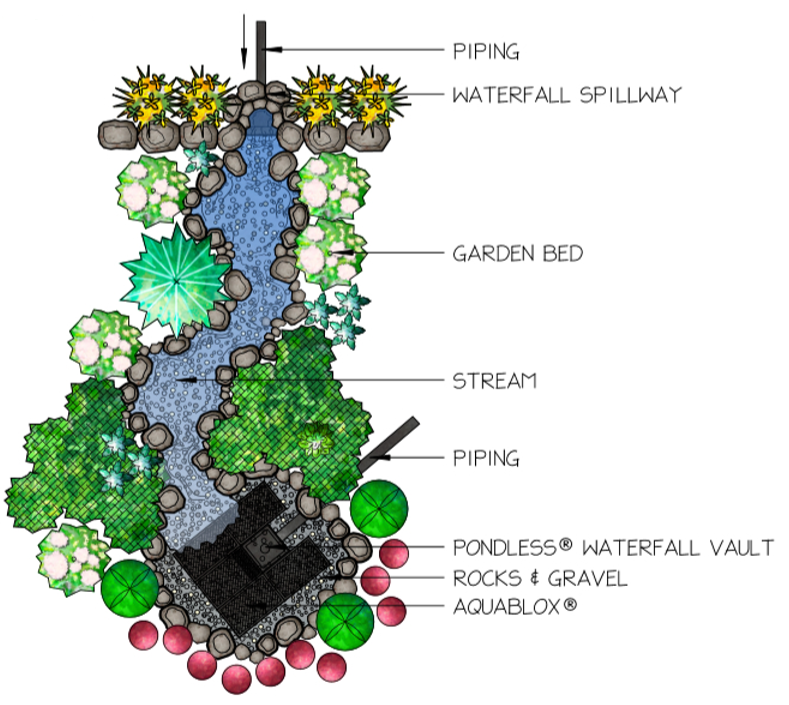 Flexibility: Perhaps the best part of the Pondless Waterfall is the possibility for the future. If you change your mind later, wishing you would have built a pond, that’s ok! If you leave enough room around the base of the waterfall, it’s easy to add pond onto your existing Waterfall Feature.